Watch out for the sharp edges on the cover plate. ECU swapped with known good ECU from 2002 parts car. No start. Like everything else on this car, someone has already been there - bits of electrical tape sticking out of ECU's wiring harness is a clear indication of shoddy repairs of unknown nature. Several wires have been taped up in there. Maybe inspect all the taped connections. If the wires were just twisted together and taped, the connection can go bad. Vinyl tape leaves sticky goo on the wires over time. Took a chunk of my tax return and had the Blue Lemon towed (with a freshly charged battery) to a local mechanic I know and trust as being a strictly honest fellow, and who relishes electrical challenges. Gave him the full story and let him have a crack at it. The harmonic balancer/toothed crank position sensor trigger wheel/crank pulley unit was disintegrated. The toothed wheel that the crank position sensor reads is bonded into place with rubber, and this rubber was rotted out with heat and age. The oddly low RPM readings were the toothed wheel hanging loose and spinning only partially with the crankshaft. 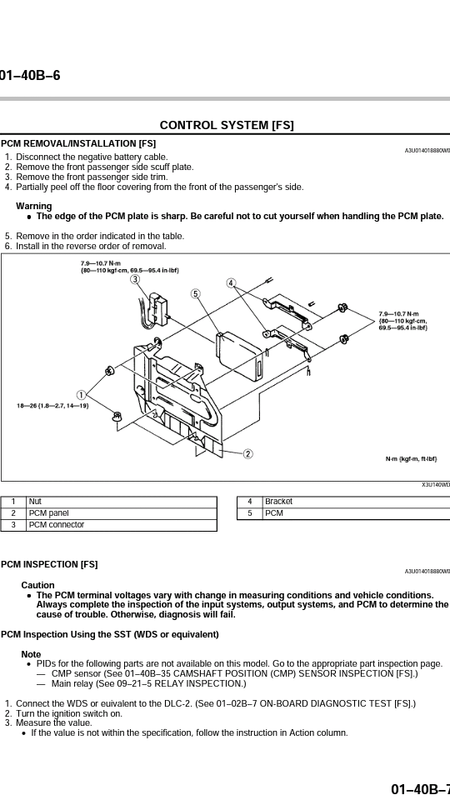 Sometimes it would hang up on the destroyed plastic of the lower timing belt cover and not spin at all - and with no crank timing input from the sensor, the ECM would not send spark. One brand-new balancer unit later, car starts and runs fine. It doesn't even blow the 10amp engine fuse any more. Now I have a spare car, as my new daily is an amazeballs clean low-mileage B16 Sentra SER Spec-V with 200hp and a 6-speed manual. I will continue to swap good parts onto the Blue Lemon from my parts car (especially interior) and eventually plasti-dip it before my 13 year old son needs a car. I also plan a full timing belt job with new covers, LOL. Lesson learned: crank but no spark: check the crank trigger wheel for wiggle. We put a lot of effort trying to figuring it out. I thought the toothed ring was connected to the inner hub and wouldn't slip. I guess it's just glued on like the pulley rings. It's gonna bug me as to why it was blowing fuses and has now stopped. The toothed ring to pulley hub connection appears to be a co-molded rubber bond. I'm going to take pictures of the new unit when I take it off to do timing belt at some theoretical point in the future when I get my parts car's stripped carcass out of my junk-filled garage. The fuse blowing magically clearing up bugs my mechanic too. He went through 3 fuses. He gave me the wiring diagram printouts (a kindred soul, Pcb!) showing how the coils run through that fuse. Me no understand such electro-wizardry. 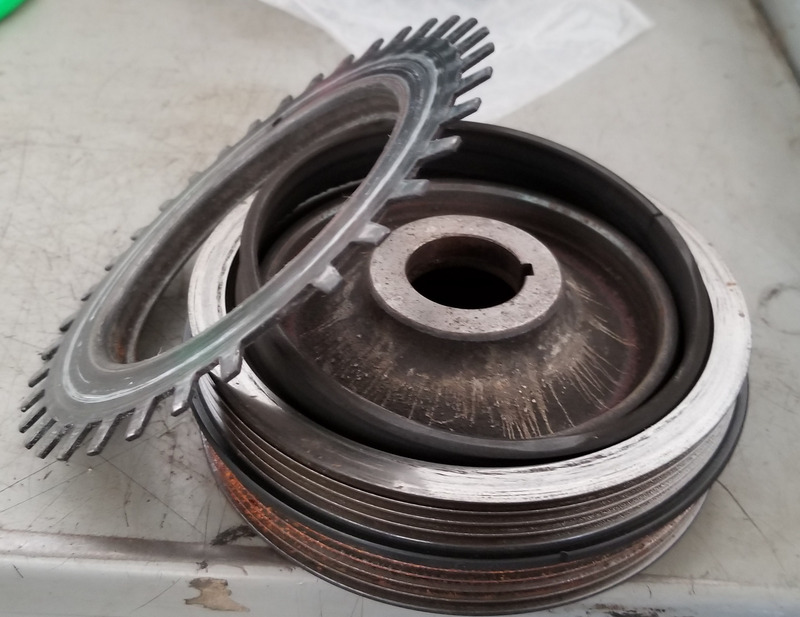 Apparently the aftermarket under drive pulleys aren't made with any rubber (they're solid metal) so the toothed ring is probably more rigidly mounted. Your mechanic sounds like somebody I'd like to hang out with and talk shop. - and with no crank timing input from the sensor, the ECM would not send spark. This is bugging me too. If the ECU shuts down the engine because there is no crank signal, then it should throw a P0335 code to let us know why.